The two largest parties in Germany, the Christian Democratic Union (CDU) and the Social Democrats (SPD), have largely refused to acknowledge migrant issues in their campaign ahead of September’s national election. The migrant crisis, which peaked in 2015, is arguably the single largest event to affect Germany in recent years but has been marginalised by both major German political parties. Neither the CDU of German Chancellor Angela Merkel nor the SPD of former European Union Parliament President Martin Schulz have spoken at length about the issue despite the recent rise of arrivals in Italy, Der Spiegel reports. Recently, Chancellor Merkel met with the leader of the CDU’s sister party, the Bavarian Christian Social Union’s (CSU) Horst Seehofer, to announce their platform for the September national election. Merkel made no comments at all about the migrant crisis, choosing instead to focus on the economy promising 3 per cent unemployment by 2025. Mr. Seehofer, known to be much more vocal on migrant issues having previously called for a national limit on asylum seekers, said he was “very satisfied with the number of migrants” coming into Germany in 2017. He claimed that so far around 80,000 people had come to Germany, still below the CSU’s proposed limit of 200,000 per year. The marginalising of the migrant issue is a major departure from late last year when some worried that migration issues were creating a rift between Merkel and Seehofer with the latter threatening not to campaign with Merkel if no limit was set. 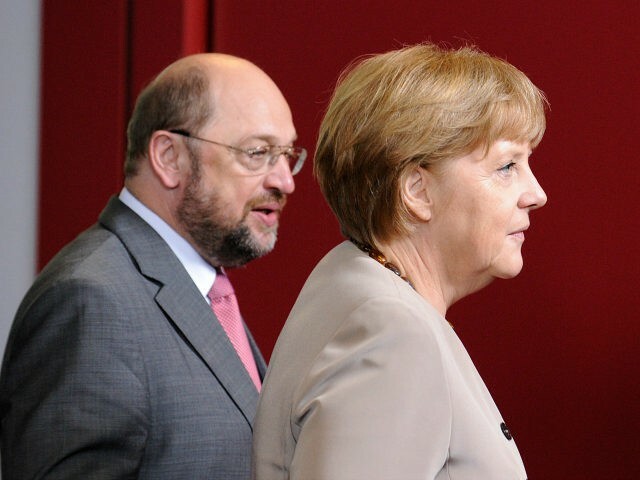 The SPD has not mentioned the migrant crisis, either, with leader Martin Schulz campaigning largely on undoing labour reforms and strengthing unions. Schulz has only addressed the migrant issue by threatening Hungary with taking away EU subsidies if the Central European country continues to refuse to accept redistributed migrants from Greece and Italy. The two parties see the migrant crisis as a hard issue to gain politically from and so have largely remained quiet on the matter. The anti-mass migration Alternative for Germany is one of the few parties to be very vocal on the subject, but after former leader Frauke Petry stepped down, the party has slumped in polls from a high of 16 per cent last September. The migrant crisis is rapidly becoming the central issue across Europe as the number of migrants coming into Italy continues to grow with one 48 hour period seeing 13,500 migrants arrive in Italy from North Africa. As a result of the surge of migrants, the Austrian government has threatened to deploy the military on the Italian border to stop migrants from entering the country. Austria also has an election later this year; however, in contrast to Germany, the migrant crisis is a major campaign issue.